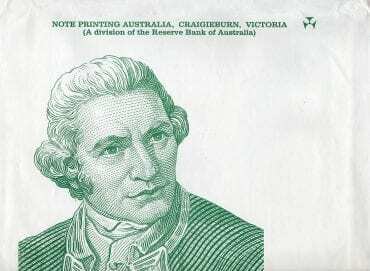 Note Printing Australia, Craigieburn. Victoria. 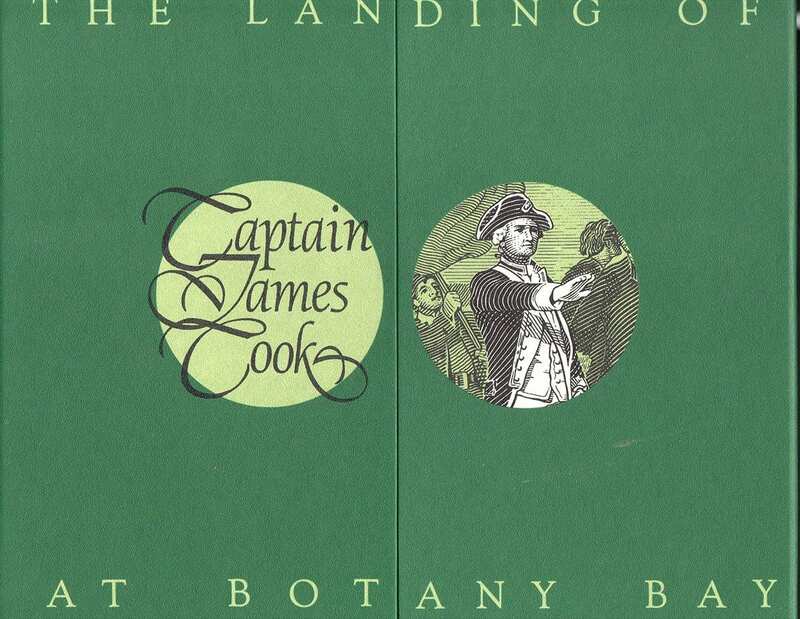 (A division of the Reserve Bank Of Australia). 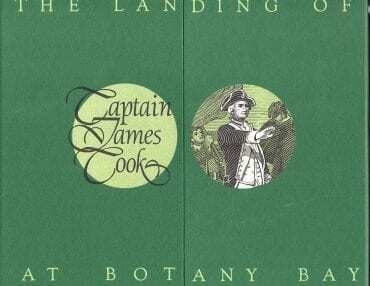 Commemorating The landing of Captain James Cook at Botany Bay on the 29th April 1770. This unique engraving formed the design of the reverse design of Australia’s 1923 One Pound banknote. 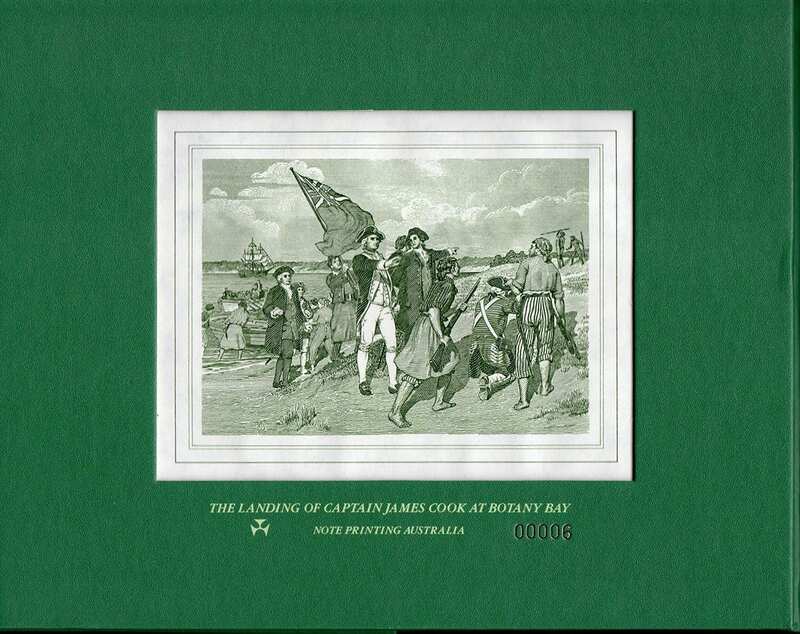 Reproduced with the permission of The National Gallery of Victoria. This beautiful Vignette was based on a design offered by The Numismatic Association of Australia, and commissioned through Note Printing Australia in 1990. 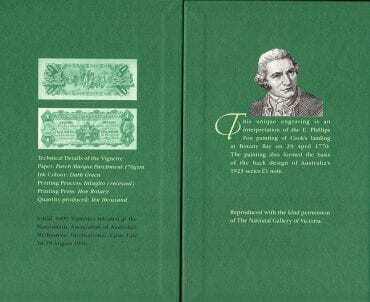 There is no register of any price for the Vignette, thanks to the NAA these lovely Vignettes were produced in the first place, limited numbers for sale do apply. The value does not lie in the quantity printed, more case of the overall presentation of each set. The cooperation of NPA in issuing these sets. 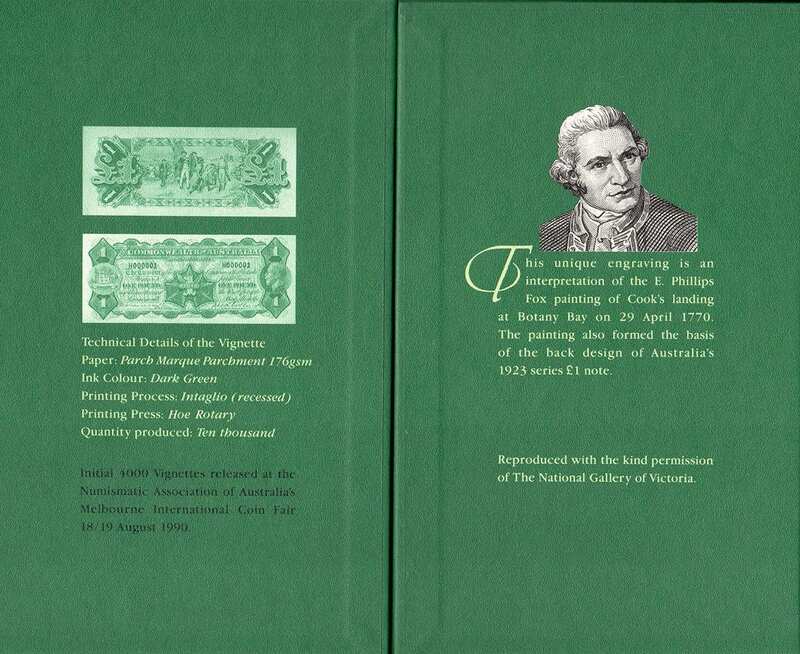 As a part of Australian banknote history, being issued in 1990 these sets require mention. All sales of the Vignettes will be donated to Wikipedia for their continuing work as a nonprofit organization.